This featured game is my second placement match and second official battle report. 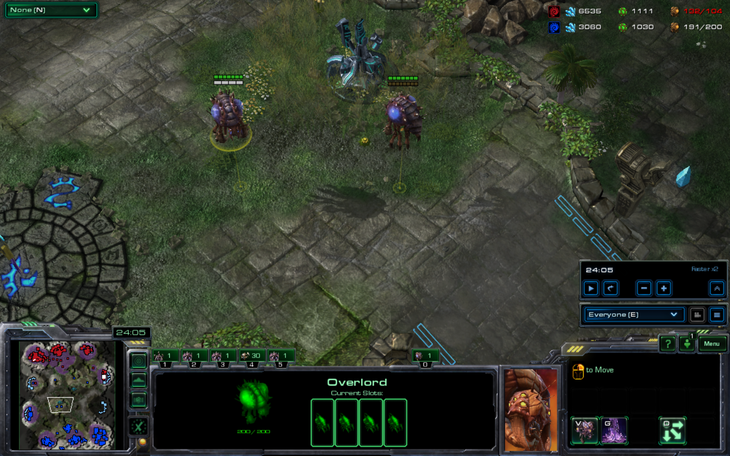 My zerg opponent is a bronze level zerg, while I'm playing random. The game starts with the noble hero gracing the bottom right corner with his presence. No, the noble hero is not my opponent. 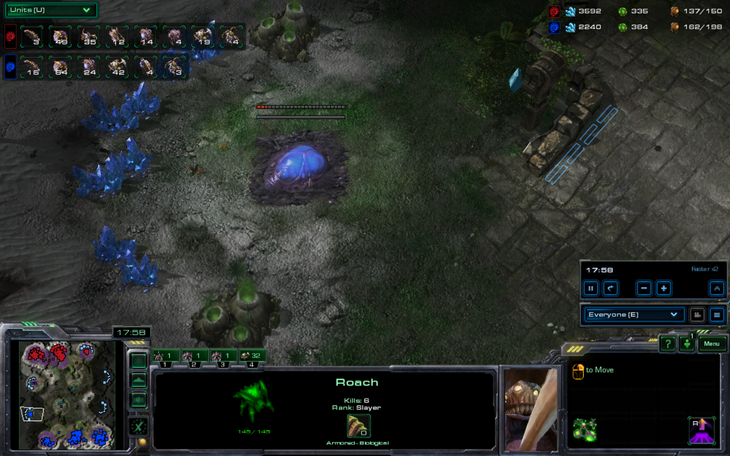 My build of the match is a 14 pool 15 gas, while my opponent goes hatchery first. Build orders sound better when they have more buildings in them. I take the roach path while expanding and he obtains two queens while I can only muster up one. 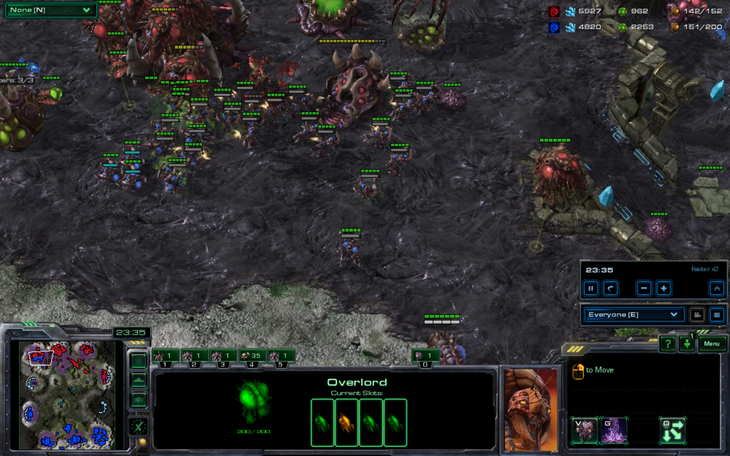 That player is so good at making me not notice his drone that from now on we're going to call him the James Bond zerg. 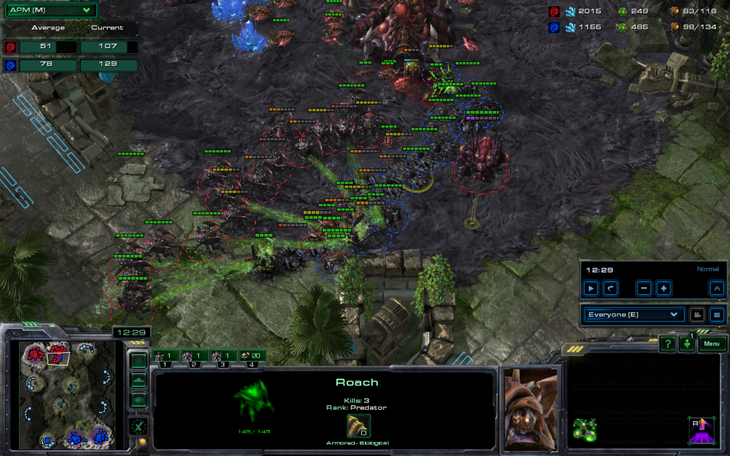 He seems to be doing the infamous 8:00 roach baneling timing off two bases and 25 drones. 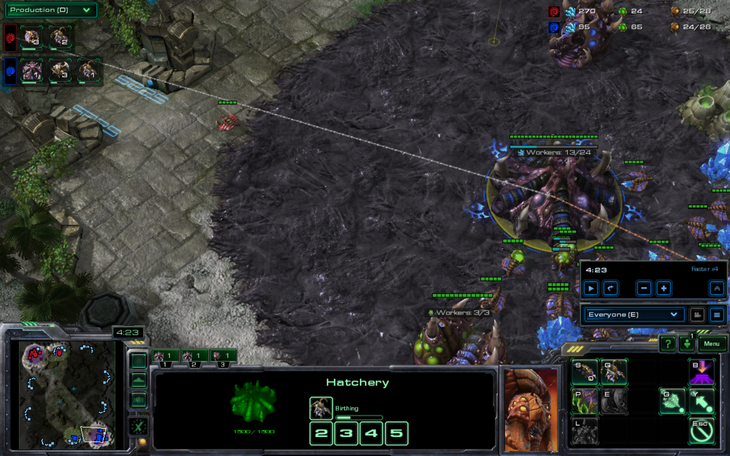 Apparently, he thinks I'm terran despite already scouting me. The James Bond zerg aims to attack!!!! 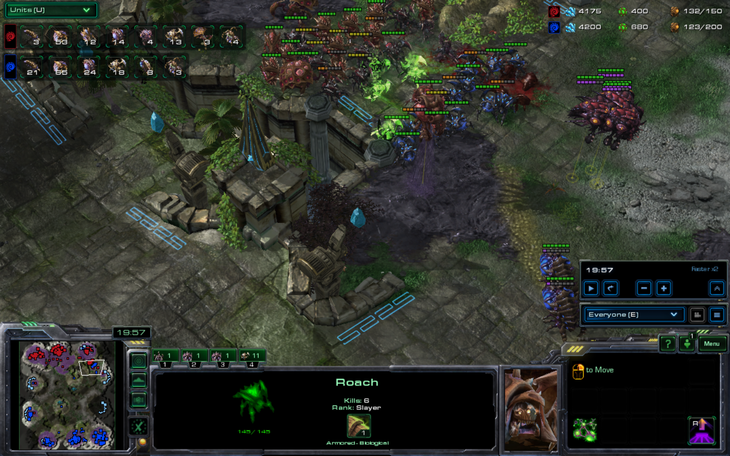 I send my drone to his third, noting that since it must be ZvP based on how he's not playing, he should have a third, right? 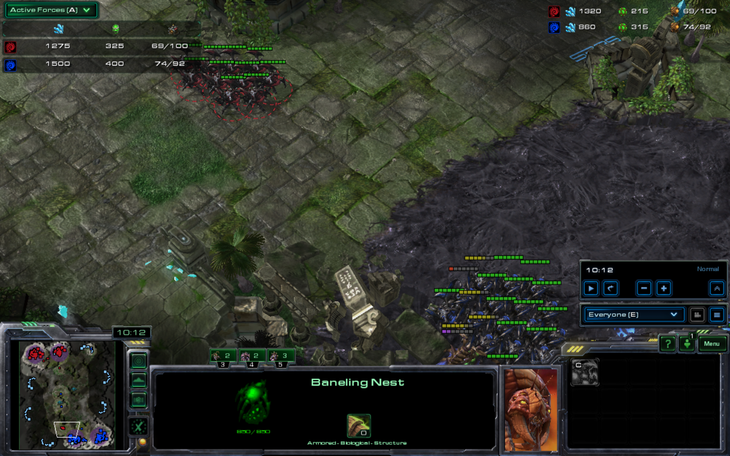 Templar logic at his finest- if he's got fast banelings he obviously has a third base at 9:00. So what on earth is the James Bond zerg doing? Is he trying to get us all killed?! My favorite part is how we both let our resources climb to infinity during the battle. The_CounterAttack now with 30% more roaches! Buy today! If you can't see that then please go to http://templarcorp.com , I need all the support I can get! Is this the end for our hero villain, the James Bond zerg! He engages with half of his roaches while he builds two overseers. 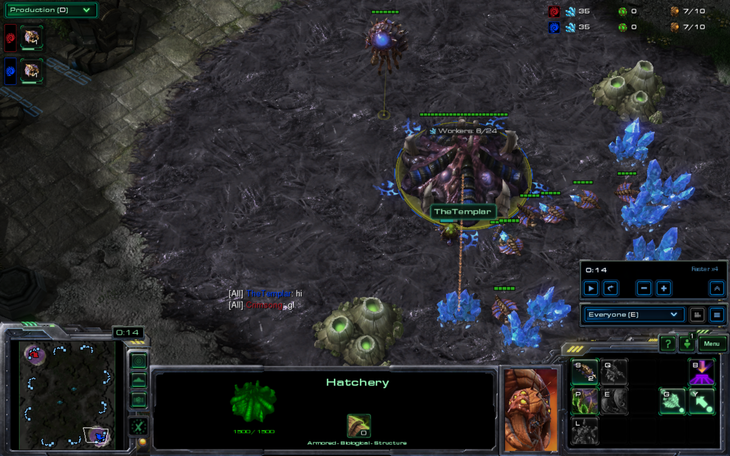 The cunning and handsome zerg spy aims to spot my burrowed roaches during the battle, AND he spent money. My evil plan has been foiled! His next deadly move is to actually engage with his entire army while I start burrowing individual roaches. Notice how I didn't spend any money all battle while he spent a bit. 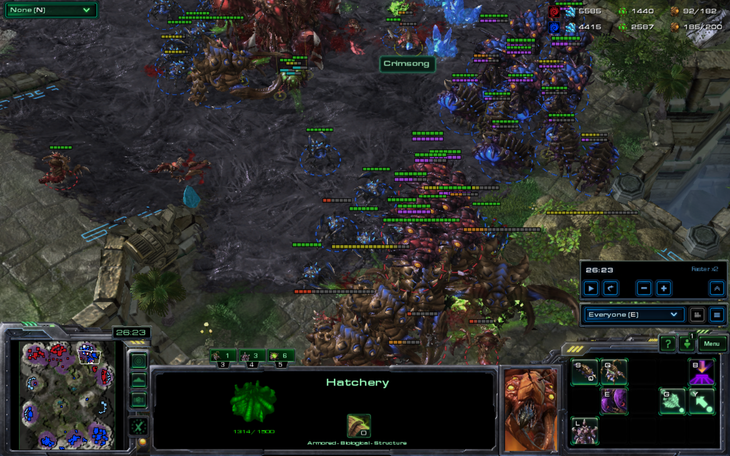 Two minutes later, he suddenly sends all of his units behind the mineral line at the third to block my drop! I go for another attack! I will defeat you this time, James Bond! I frantically reposition my roaches so they'll do better in the ensuing battle. And I have to retreat again. I acquire a fourth base. That's a nice base you've got there, Templar. Where did you steal it? I'm not the James Bond zerg, so his drones at his third quickly root out my drone mole. …Or I could burrow it? You aren't going to believe this, but I attacked again!!! Into his overseers! Templar micro at its finest, anyone? After letting my roaches die regenerate, I get back to the game. The_Templar's micro can't be good enough to land a fungal growth; someone must have taken over the keyboard. I cunningly run away my infestors, which are pretty much not used again for the entire game. I remembered upgrades just in time! He got swarm hosts, burrowed them, unburrowed them, and moved them away to let the locusts mingle a bit. "Hi. I'm Locustman. I was just born. Would you like to mate?" 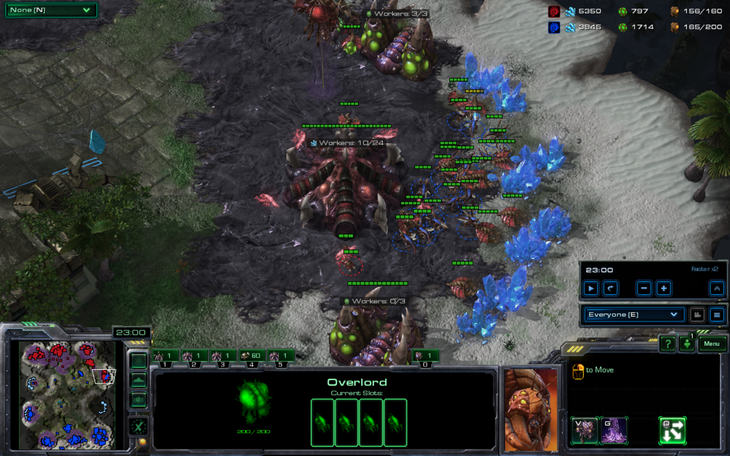 I send out an overlord to obliterate everything. Overlords are pretty important. Meanwhile, I split up a pack of zerglings that I made with extra minerals and sent them to my opponent's undefended expansions. The results are pretty decent. 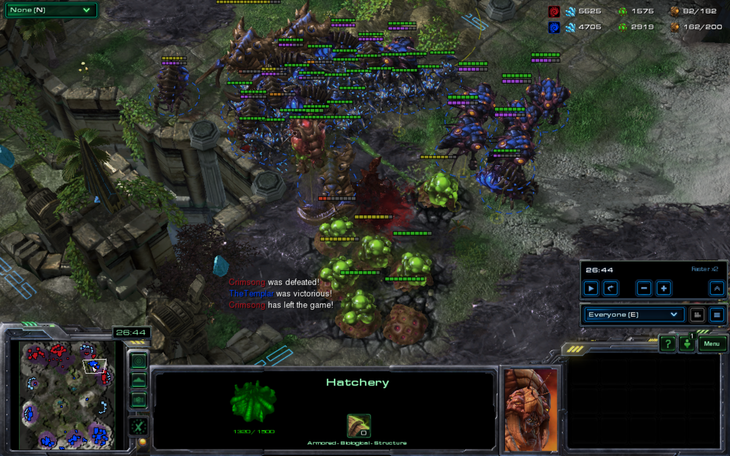 Meanwhile, I've built a large amount of units with my stellar macro. Actually, his name was Crimsong, but who cares. The game concludes. I go on to place silver league after getting a 3-2 record. Is it me, or did bronze level players get a lot better? We'll see after I play more games. 5/5 because you got into Silver, I need to do placements on NA and snipe you. As the game has progressed everyone has gotten a lot better haha. Great blog dude , grats on the scout!